HOUSTON (KTRK) -- A newly-renovated Buffalo Bayou skatepark reopened Saturday. The Lee & Joe Jamail Skatepark was closed in April 2016 for renovations. Improvements include seating areas, graffiti boards and shade structures were added. The improvements were possible through a $2 million donation. 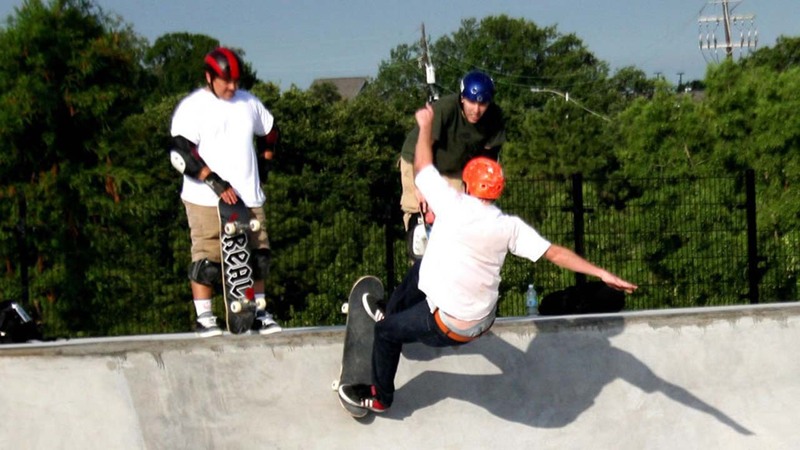 "We are excited to be able to re-open the Lee & Joe Jamail Skatepark so that skaters can enjoy the park during Spring Break," said Joe Turner, Director, Houston Parks and Recreation Department in a news release. "We encountered some unexpected delays in the manufacturing of the custom shade structure, but did not want to delay the opening until this item was completed. We are very excited about the completed improvements and believe the skater community will be, too." The Lee & Joe Jamail Skatepark was originally funded through a generous $1.5 million donation from the late trial lawyer Joe Jamail.